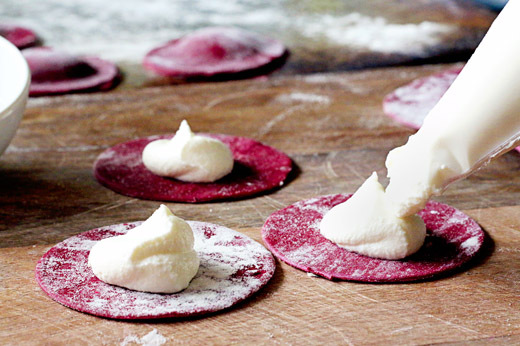 When hearty bowls of soup and other heavy winter comfort meals have you grasping for any sign of spring, give the bright flavors of this Beet Ravioli with Meyer Lemon Goat Cheese a try. 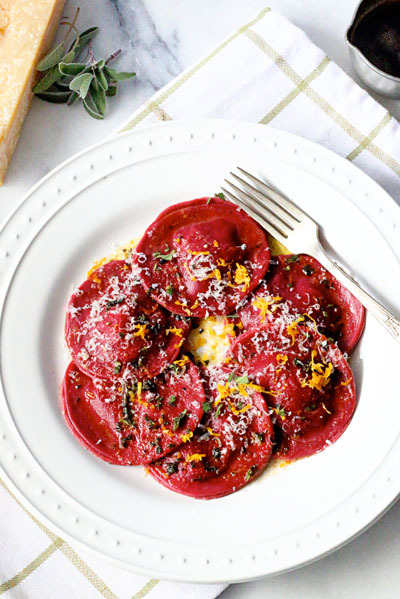 Fresh, savory beet ravioli are perfectly plumped with tangy goat cheese and fragrant Meyer lemons; then drizzled with a warm brown butter sage sauce. This dish perfectly balances the winter and spring seasons, and it will amaze! I’ve been making pasta for a while now, but it’s always been by hand. 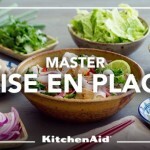 Needless to say, my options were pretty limited, but when I started using the KitchenAid® Pasta Roller attachment with my KitchenAid® Stand Mixer, doors were opened. Fresh pasta has never tasted so good and been so easy! Now on our family kitchen night, where we all cook together, pizza has been overruled by pasta. Even my 5-year-old daughter gets in on the rolling action. I might have to clean flour off of every visible surface, but between all the smiles and the taste it’s completely worth it. 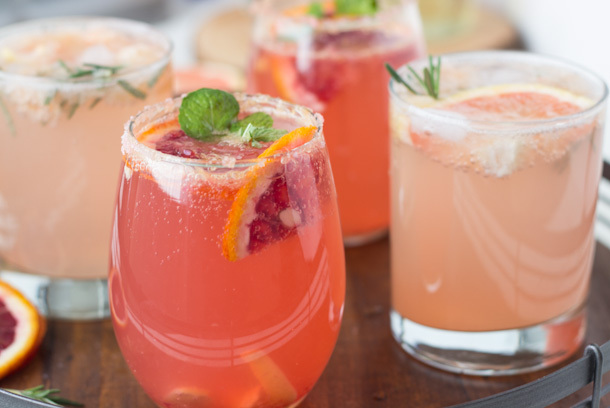 We created this recipe after a trip to the market to pick up some seasonal produce. With winter fading, beets are still in season; and my favorite, Meyer lemons (a cross between a lemon and mandarin orange) are ripe and gorgeous. The colors of everything sitting in our bag were beyond beautiful — a sure sign that this meal was going to be epic. It all starts with roasting a few beets, a step that can be done days in advance. Then we turn the beets into a puree using a food processor and then add eggs. 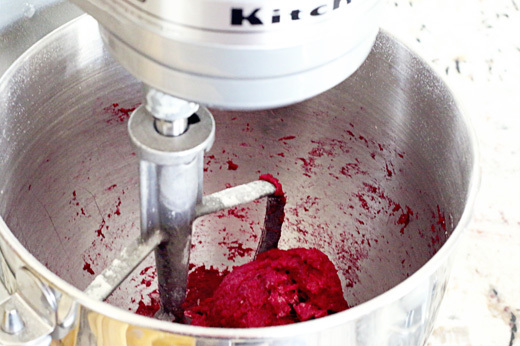 Now, here’s the easy part — combine flour, beet/egg mixture, and salt – then, sit back and let the KitchenAid® Stand Mixer do all of the mixing and kneading for you. Once the dough is nice and smooth, place on a slightly floured surface and divide into 6 equal sections using a knife. You can’t deny how gorgeous that color is already! Attach the KitchenAid® Pasta Roller attachment and run the dough through, one section at a time, until the dough is smooth and pliable. This is what makes great pasta! 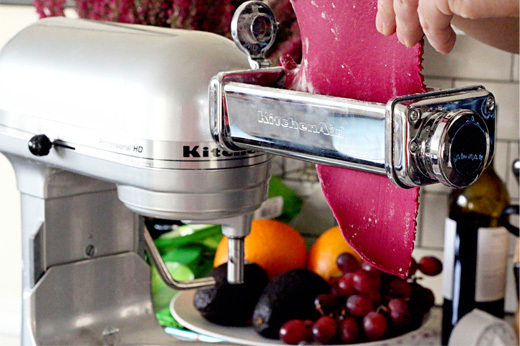 The ability to work the dough with the roller and then thin it into a desired thickness is crucial for the perfect pasta texture and the KitchenAid® Pasta Roller attachment is the perfect tool for that. It provides quality control and hands-free rolling (no crank to spin like stand-alone rollers) making it the optimal pasta-rolling machine! Next comes the fun part. 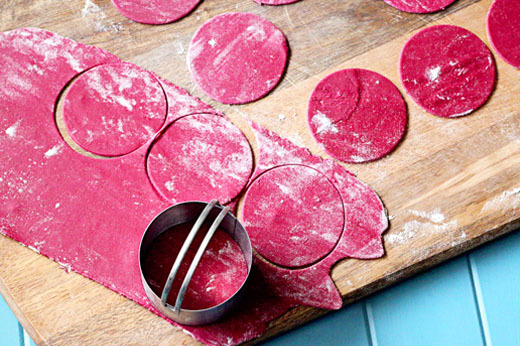 On a lightly floured surface, cut rounds out using a circular pastry cutter. Once the rounds are cut, place a dollop of the goat cheese and Meyer lemon filling that you’ve whipped up before hand in the center of one round. Wet the outer edge with a bit of water, place another pasta round on top, press to seal, and repeat. This is my family’s favorite part. Each person has a job and, before you know it, the ravioli are finished. Now, all you have to do is make a quick sauce by browning butter until golden and nutty, and boil the pasta until al dente. This is definitely one of those recipes to impress and the perfect recipe for the entire family to get involved with on a Sunday afternoon. 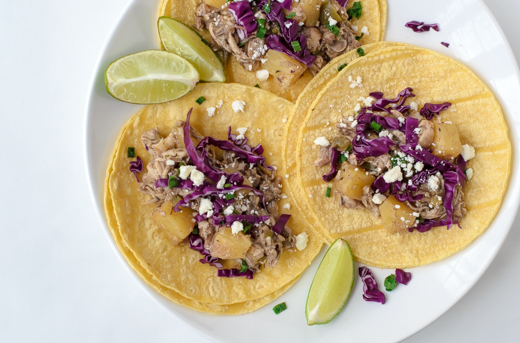 The combination of flavors is as stunning as the colors in this recipe and worth every second it takes to make. 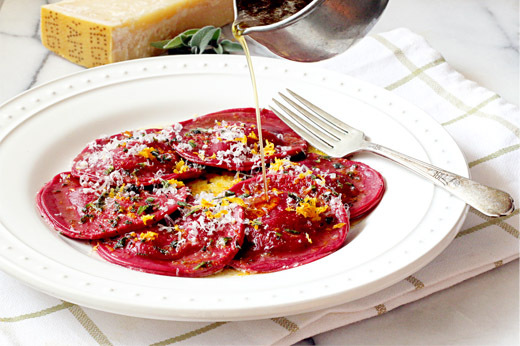 Bright, earthy, and savory, Beet Ravioli with Meyer Lemon Goat Cheese and Brown Butter Sage Sauce, is a deliciously vibrant meal that will certainly cure your winter blues. * “00” flour is a fine milled pasta flour. 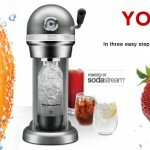 It can be found online or at specialty markets. All-purpose flour can be substituted. In a large bowl, combine goat cheese, ricotta, egg, lemon zest, and lemon juice; whisk until smooth. Cover and place in the refrigerator until needed. Preheat oven to 400°F. 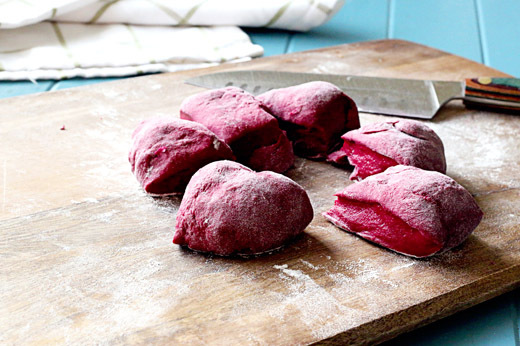 Wrap beets in foil, place on a baking sheet, and roast for 45 minutes or until tender. Once the beets have cooled, remove the skins with your hands and discard peel. This can be done up to two days in advance. Place peeled and cooled beets in a food processor and process until extremely smooth, about 1 minute. Add eggs and egg yolk and pulse until combined. In a KitchenAid® Stand Mixer fitted with the flat beater attachment, combine flour and salt; mix on low until combined. Add beet puree, turn the speed to 2 and mix until combined; about 1 minute. Exchange the paddle for the dough hook and knead until for 8 to 10 minutes or until the dough is smooth. Humidity in the air can affect the moisture in the dough. If the dough seems too “wet” add additional flour a tablespoon at a time until the dough becomes firm. If the dough is too “dry” add cold water a tablespoon at a time until the dough is balanced. Remove the dough to a lightly floured work surface and cut into 6 equal pieces; cover. Attach the KitchenAid® Pasta Roller attachment to the stand mixer and set the adjustment knob to 1. Turn the mixer speed to a speed you are comfortable with between 2 and 4. Feed one pasta dough piece through the pasta roller. 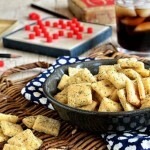 Sprinkle the dough with a little flour, fold in half, and roll again. Repeat this process several times until the dough is smooth and pliable. Move the adjustment knob to setting 2 and feed the dough through to flatten. Move the adjustment knob to 3, sprinkle the dough with flour, and roll it through to flatten further. Move the adjustment knob to 4, sprinkle with flour, and roll the dough through again for the final time. Do not fold the dough during the flattening process. Set pasta sheet on a floured surface and cover. Repeat with remaining dough. With a 2 1/2 -inch round pastry cutter, cut rounds out of the pasta sheets. If the leftover pasta dough is still pliable, gather, run it through the pasta roller and repeat the pasta sheet process. Place the filling in a pastry bag and pipe a dollop of the goat cheese filling onto the center of a pasta round. You can also do this using a spoon, if desired. With your finger or a pastry brush, brush the edge of the pasta round with water. Top with another pasta round and press the sides to adhere the rounds together. Repeat with the remaining pasta. Cover finished ravioli with a towel until use. In a large saucepan, melt 6 tablespoons of butter over medium heat. Simmer the butter until it turns golden brown; about 8 minutes. Once the butter has browned, immediately remove from heat and add the remaining 2 tablespoons of butter; stir until melted. This will stop the cooking process. Add sage and salt; stir until combined. Taste and add additional salt if needed. Bring a large pot of salted water to a boil. Once boiling, reduce the heat to a rapid simmer over medium-high. Carefully add the ravioli to the water. Gently stir to keep the ravioli separated for even cooking. Cook for 5 minutes. Strain water from the ravioli. Serve by plating ravioli, drizzle with brown butter sauce, and garnish with grated Parmigiano-Reggiano and Meyer lemon zest.